Renganatha temple at Srirangam is the oldest and the largest temple in Thiruchirappalli district. The earliest reference of this temple is found in Silappathikaram, the historical treaty of Kannagi made by Ilangovadikal. It has the credit of being sung by eleven of the twelve Alwars. This is the only temple in the whole of Tamilnadu to have nearly 647 inscriptions engraved on various parts of the temple complex. It is again the only temple to boast of having 191 records of the Cholas. But for four kings of the imperial Cholas, the rest of the rulers right from Aditya I to Rajendra III have records here. It is interesting to note that nearly 50% of the Chola records found here belong to Kulottunga I who started the Chalukya line of Chola rule in Tamilnadu. No other temple in Tamilnadu has this amount of epigraphical corpus of any single ruler. Most of his inscriptions, as many as 72 are engraved on all the four walls of the third prakara of the temple and made it to be known as the prakara of Kulottunga though it was not named as such. Twenty eight of his records have lost the regnal years but the rest have retained their chronological sequence and are spread from his 10th year to the 48th year. All these 83 records of Kulottunga I who is celebrated as the Chola who exempted the toll and gilded the temple of Nataraja at Chidambaram with gold, provide interesting details on the efforts taken by the administration of the temple with the support of the government to reorganize the agricultural outcome through vigorous reclamation of the lands that were silted due to heavy floods. Tandurai and Karaikkudi of Vilattur nadu were the two important villages that were gifted as madaippallippuram to look after the functioning of the temple kitchen that served offerings to the deities and food for the devotees. Repeated floods in Kaveri made the lands of these villages uncultivable by depositing enormous amount of sand. Records cry out and say that these lands were abandoned for 40 to 100 years due to heavy silting and thereby causing dent in the activities of the temple kitchen. It was during the reign of Kulottunga that a decision was taken by the temple authorities in consultation with the government officials to sell all the lands that were silted, to those who come forward to join hands with the authorities in the reclamation process. Lands were sold at a low price, one veli of land for one kasu to encourage purchase at a large scale. The major land tax known as irai or kadamai collected generally from all the land owners was totally exempted for these silted lands. Kudimai which was a fold of labour levies in the form of corvee was the only tax that was expected from the purchasers. This too was demanded only to maintain the irrigational amenities. In some sales even this kudimai was exempted. The labour cost of reclamation per one veli of land was one kasu in most of the cases whereas in rare cases where desilting was a laborious process more money was collected. As per one record six kasu were collected for the reclamation of less than one veli of land. The purchasers were given the freedom of cultivating any crop of their choice in the retrieved land and a period of five years was given as a breathing time during which whatever the land produced was to be utilized in total by the owner himself. It was only after five years of reclamation and that too if the land yields, 8 kalam of paddy was to be measured by one of the three standard measures known as pallikondan marakkal, srirangapiriyan and rajakesari at the temple treasury as land tax. In some rare cases where the yield was not satisfactory the owners were permitted to pay the tax in two installments. In extraordinary cases it was even reduced to four kalam of paddy. Lands that were desilted and made cultivable are mentioned in the records as vayakkal or mayakkal or vilagam. Most of such lands received the names of their owners along with any one of the above as its suffix (Muttaraiyar Vilagam, Pallavaraiyar vayakkal, Ayarkoluntu vilagam, etc.). Some of the lands were named after the various incarnations of Vishnu such as Narasinga mayakkal, Tennarangan vilagam, Thiruvellarai Ninran Vilagam etc. Such corrected lands were brought under cultivation with the help of agricultural labourers engaged by the land owners. In most of the cases the labourers were two in number and each received one kuruni of paddy per day and two kasu per year as remuneration towards food and dress. Some of the lands which were either larger in size or caused difficulty in cultivation had more number of labourers as far as five persons. The produce that was left behind after the payment of tax and the labour charges belonged to the owner of the land. But in most cases the owners created various endowments of their choice at the temple out of the remaining produce and enriched the temple activities. It is understood from the records that most of the lands brought under cultivation were converted as flower gardens. Flower plants such as jasmine, marikoluntu, shenbagam, nanthiyavattam and iruvatchi were grown along with tulasi. Some lands had ponds and streams to grow lily and lotus. It may be said that none of the temples in Tamilnadu had so many flower gardens as Srirangam during the period of C. E. 11th and 12th centuries. Some of these lands were used to raise groves of fruit bearing trees such as mango, jack and banana. Coconut and arecanut groves were also raised in some lands. In total the entire land space was properly utilized by meticulous planning, careful seeding and with hard and dedicated labour. This was made possible by the careful distribution of water utilizing all the existing irrigational facilities and digging new channels and sub-channels where and when needed. The water management expertise of the Chola period helped the villagers to a very great extent. It is gleaned from the records that almost all the purchasers of these silted lands were connected with the government in some or other way. More than 30 high officials of the government were involved in this noble venture and helped the temple as well as the people to recover from the catastrophes caused by the floods. Adityan Thiruvarangadevan alias Virudarajabhayankara Vijayabalar, one of the higher officials of Kulottunga’s government made four purchases and left the entire produce of the land at the disposal of the temple to carry out certain endowments in his name. Araiyan Chendan alias Rajendrachola Adigaiman, another officer appears in three records followed the foot steps of Vijayabalar and created endowments out of the remaining produce. It is a distinguishing fact that none other than the Renganatha temple at Thiruvarangam had witnessed such a large number of government officials in the rank of secretaries (adikari) extending a helping hand in relieving the strain of the temple management and also providing job opportunities to the agricultural labourers of its affected villages. As the officers, the chief commanders of the Chola army also came forward and joined hands in saving the lands. Names of more than eight generals are noted in the records. Adiyan Menkai wife of senapati Vira Rajendra Adiyaman also joined the creditable act, purchased two veli of land, rectified and gifted the same to the temple to raise a garden for the presiding deity Lord Renganatha. 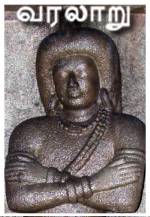 Rajaraja Arumoli alias Tennavan Madevi, Valavan Madevi, Ulaga Madevi and Neriyan Madevi, queens of Kulottunga I also participated in the reclamation process by purchasing and correcting sizeable lands. Lady attendants of the queens and the generals mentioned as pendatti in the records associated themselves in this process with keen interest. Reclamation though as a process was widely undertaken during the Chola hegemony throughout Tamilnadu with the aim of increasing the agricultural space, nowhere it was done with such an amount of zeal and enthusiasm especially with the involvement of so many government officials and at such a large scale but for at Srirangam and that too under the reign of Kulottunga I. It may be even said that the long stretch of Kulottunga reign that prevailed in Tamilnadu was the golden era in the annals of Renganatha temple which made it self supporting and extensive in proportions by adding several additional structures such as mandapas, prakaras and sub shrines.